It all started with a tweet. On Wednesday, ahead of the Lightning's first round Stanley Cup Playoff game, the Lightning posted a video of a Bud Light can turning into a "Bud Lightning" can, asking the beer if they would change their name for the playoffs. TAMPA, Fla. — It all started with a tweet. On Wednesday, ahead of the Lightning's first round Stanley Cup Playoff game, the Lightning posted a video of a Bud Light can turning into a "Bud Lightning" can, asking the beer if they would change their name for the playoffs. They tweeted "Hey @budlight, how about a name change for the playoffs? 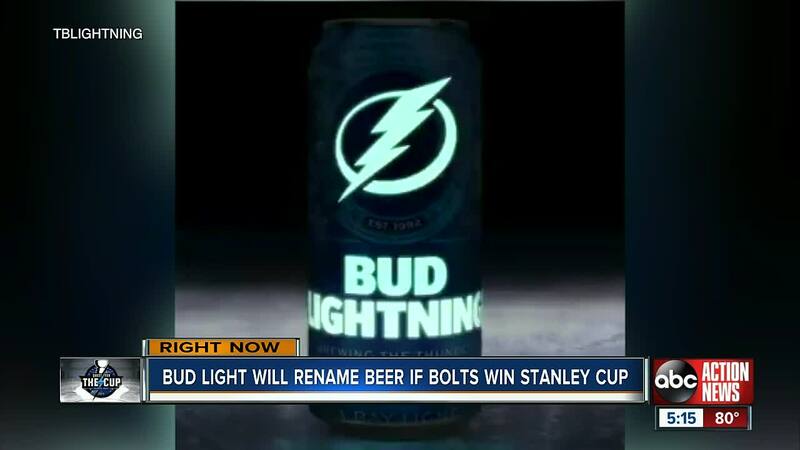 ⚡️"
Bud Light responded four minutes later, promising to make "Bud Lightning" a reality if the Lightning win the Stanley Cup. The tweet said "Win it all and we’ll make #BudLightning a reality. 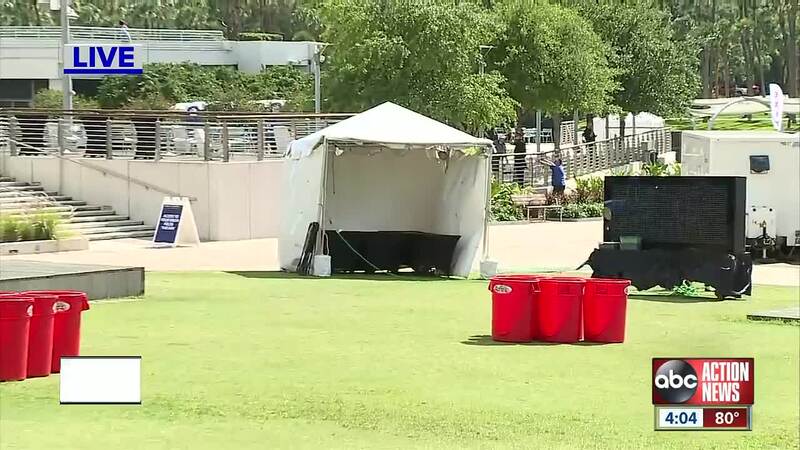 🍺⚡️"
The PR firm for Bud Light sent out a press release moments later to announce if the Tampa Bay Lightning "win it all," Bud Light will introduce 16 ounce Bud Light cans in the Tampa Bay area that will read "Bud Lightning." They said "as the official beer of the Lightning, Bud Light will be by their side to support them and their fans throughout the rest of the season."